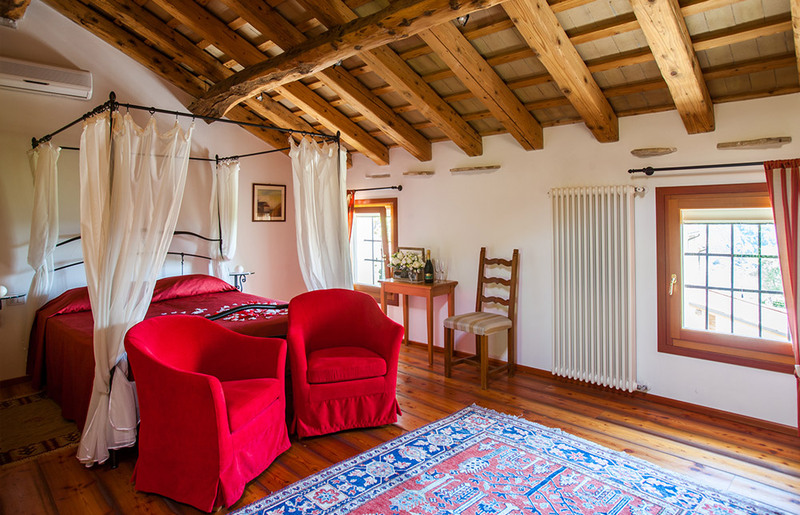 The Dream Room is the main and most spacious room of the tourist farm. There is a beautiful view of the Cartizze hills from this room on the top floor of the building. 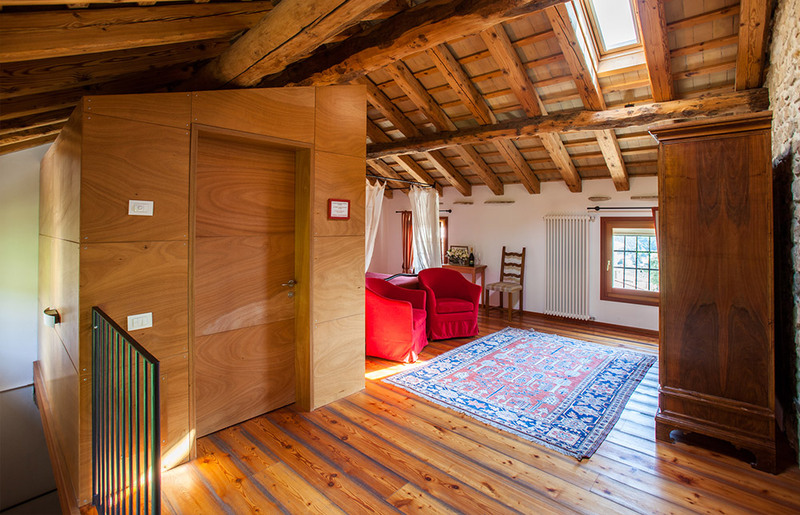 The wood and flat-tile ceiling still features the old support beams that look like tree trunks embedded in the walls. In between the beams there are skylights through which a natural light enters the room creating a warm, cosy and lively atmosphere. It’s the room closest to the sky and to the emotions it creates. The antique stone on the wall in front of the bed has been polished and filled where necessary and the spotlights contribute in creating a ripple movement effect with the light. The floor is of brushed larch wood. The canopy bed with soft white curtains gives the final touch to a romantic and exclusive holiday. The bathroom is a small wonder: decorated with red-toned colours and has a big hydro-massage shower. Facilities: Private bathroom with massage shower and hairdryer, canopy bed, satellite TV, minibar, air conditioning / heating, wi-fi, views of the hills and vineyards.